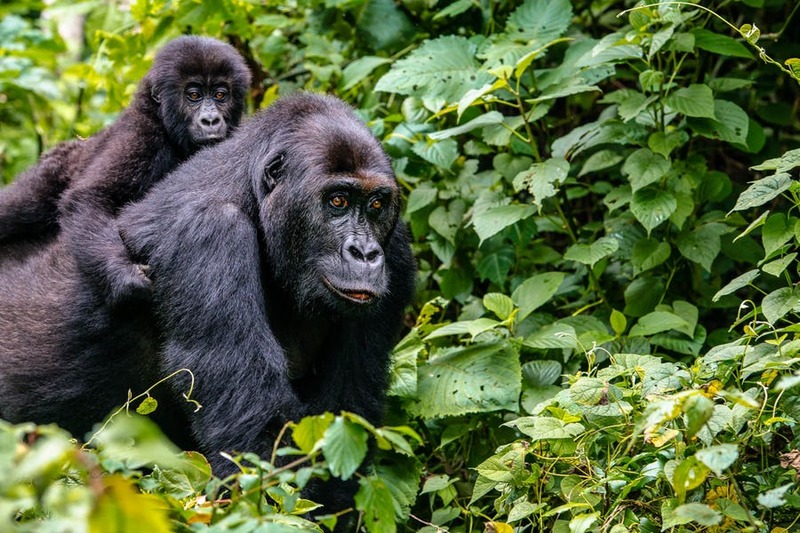 Visit and have the best experience in Uganda with a 4 Days Uganda Gorilla Experience Flying Tour, where you will not only trek with the Gorillas but also explore and hike through the rain forest of Bwindi as you pay your ears to the beautiful sounds of birds while gazing at the amazing primates and species in this forest. This gorilla experience flying tour starts and ends in Kampala. There isn’t anywhere in the world you could pack in this variety of top wildlife and safari experiences. Between Elephants, Hippos, Birdlife and maybe even a Leopard or Tree climbing Lion at Queen Elizabeth National Park in Ishasha sector, then on to spending an hour with the rare and endangered Mountain Gorillas of Bwindi, spending some hours with exclusive Uganda culture especially the Batwa experience the forest dwellers who were gusseted out of Bwindi impenetrable forest national park during 1990’s. Flights from your home to Uganda and return. Valid passports for each traveler. More than 6 months left before expiry and two blank pages. Vaccinations and medications – see your G.P. All denoted accommodations &amp; inclusive activities. All meals including Breakfast, Lunch &amp; Dinner. Exclusive use of 4WD and Driver/Guide. National Park entry fees for Queen Elizabeth, And Kibale National park. 1 x Hot Air balloon safari. African Holidays Safaris and Tours 24 Hours support. DAY 1: ARRIVAL AND TRANSFER TO YOUR HOTEL AROUND ENTEBBE AIRPORT. On arrival at Entebbe International Airport, you will be received by one of our company representative brief you about your dream tour and later transfer you to your hotel around Entebbe where you will have your afternoon relaxing in preparation for your next day activities. Dinner and overnight stay at Karibu Guest House, Protea Marriott Entebbe Hotel, Or Lake Victoria Serena Hotel. This day your driver guide will pick you from your hotel after your breakfast and drive you to Entebbe international airport and catch up with Aero Link Charter at 07:00AM for your transfer to the nearby Bwindi air field (Kihiihi) arriving at 08:45AM where you’ll be picked by your driver guide and transfer to Queen Elizabeth National Park Ishasha sector where you will have a game drive in the Ishasha sector where you will do the tree lions tracking experiential and a must to see them together with a game drive. This park is a home to various types of wildlife and a game drive in Queen Elizabeth will reward you with views of animals such as lions, forest hogs, buffalos, elephants, waterbuck, Uganda Cobs and other types of antelopes, lunch at Ishasha Wilderness camp located inside the park, later in the afternoon, you will be transferred to Bwindi impenetrable forest national park. Dinner and overnight stay at accommodation of Choice. Buhoma Community Haven Lodge, Bwindi Lodge,Ri Lodge Trackers Safaris. Early in the morning after breakfast, carry your packed lunch and drive to the park headquarters for a briefing from the UWA officials, set off for the gorilla tracking. This is a once in a life time experience and unforgettable adventure. 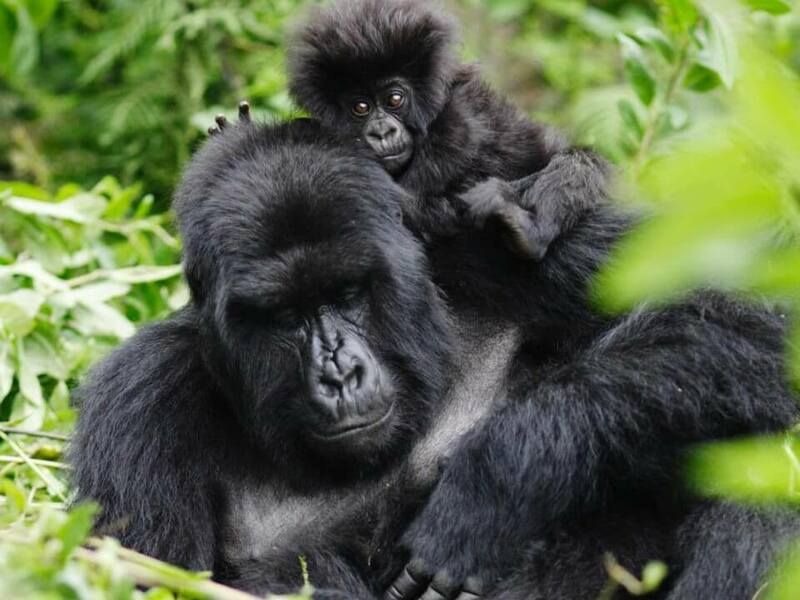 The ranger guides will lead you into the thick forest and start your search for the endangered Mountain Gorillas. You will move up and down the rugged terrain until you finally meet these harmonious creatures that will entertain you with performances for about 1hour. 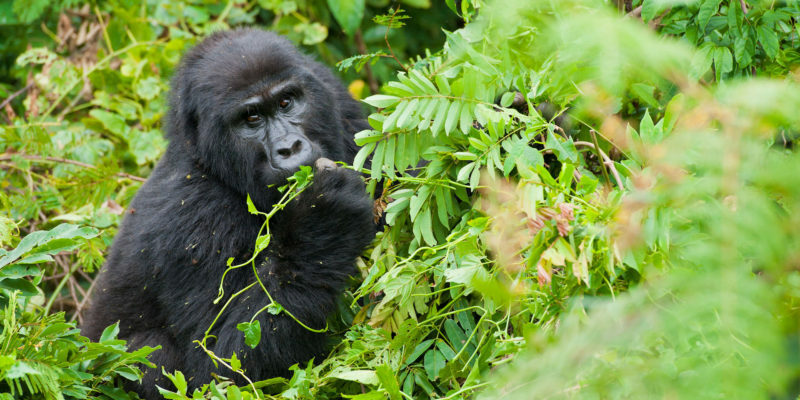 The activity can take 2-6 hours since the gorillas move up and down. This is an awe some and exciting moment. En route you may get a chance of seeing some primates, birds and so more. Return to the lodge for refreshment, relax as you enjoy lodge facilities. After late breakfast, you will check out with a packed lunch and your driver guide will take you to Kihihi Airstrip, and proceed with aero link flight to Entebbe international airport. For your flight back home. End of our services, wishing you a safe Journey back home.